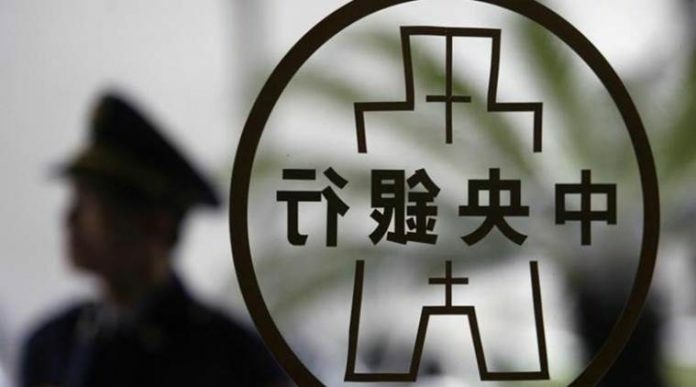 China’s central bank, Taiwan chapter has recommended that trading of Bitcoin (BTC) should be regulated under the Justice Department’s anti-money laundering (AML) regulations. In 2017, the Financial Supervisory Commission (FSC) of Taiwan indicated its interest in adoption of Blockchain, cryptocurrency and Initial Coin Offering (ICO), plus other innovations in the country. While responding to concerns which were raised about the recent drop in the prices of bitcoin, central bank Yang Chin-long said the bank responded to the drop by first reminding investors of the risks and then move to initiate and implement BTC AML regulation. Yang Chin-long was speaking during a Yuan Finance Committee for the Taiwan Legislature. Yang Chin-long was appointed the central bank governor in February this year. In his speech during the handover ceremony, Chin-long said that the bank would maintain a friendly tone toward Blockchain technologies. Wu Bing-rui, a Democratic Progressive Party legislator of the Taiwan parliament asked the governor there was any need to pay particular attention as well as scrutiny of Bitcoin mining businesses in the country. He cited the mining cost in Taiwan as the third lowest globally due to low costs of electricity. Yang Chin-long noted that many manufacturers of BTC mining technology in Taiwan comes from mainland china, but this does not imply that the government should not be keen on the implications of Bitcoin mining to the power usage of Taiwan. There has been a heated debate about the harm caused by bitcoin mining with regard to high power consumption. Many countries like Iceland have recorded huge energy consumption as a result of cryptocurrency mining activities. Iceland attracts many bitcoin miners due to its cold climate as well as easy access to renewable energy. Many US states which generally have low power cost have seen an increase of miners who are keen on tapping into the cheap energy. This is has seen an increase in power consumption beyond that of households as well as overloading of power infrastructure. Recently, China emerged as the leader among countries that filed the most bitcoin patents.